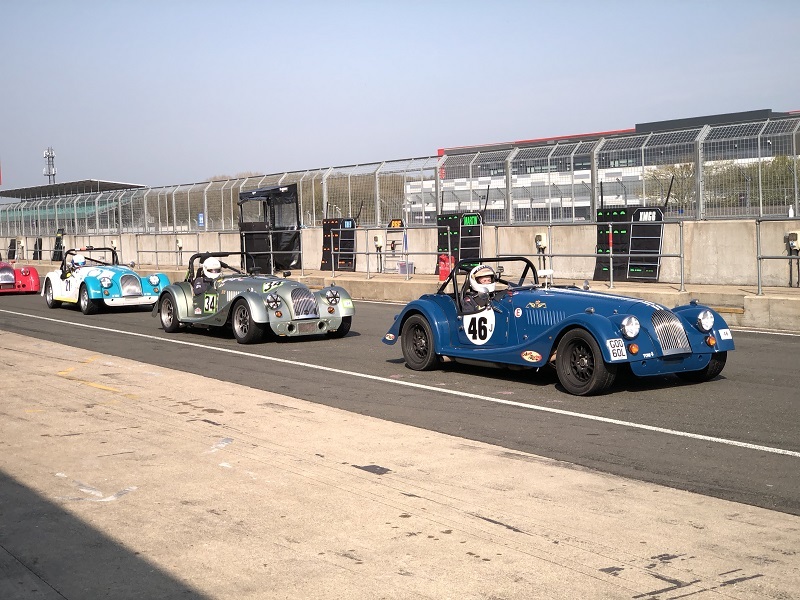 On Saturday 21st April your webmaster went down to Silverstone for the first day of the VSCC Formula Vintage 2018 Round 1 – intending to take a few photos in the paddock and parking areas – and to leave fellow SAHB Member Peter McFadyen to do the professional stuff by standing at corners with expensive camera equipment. 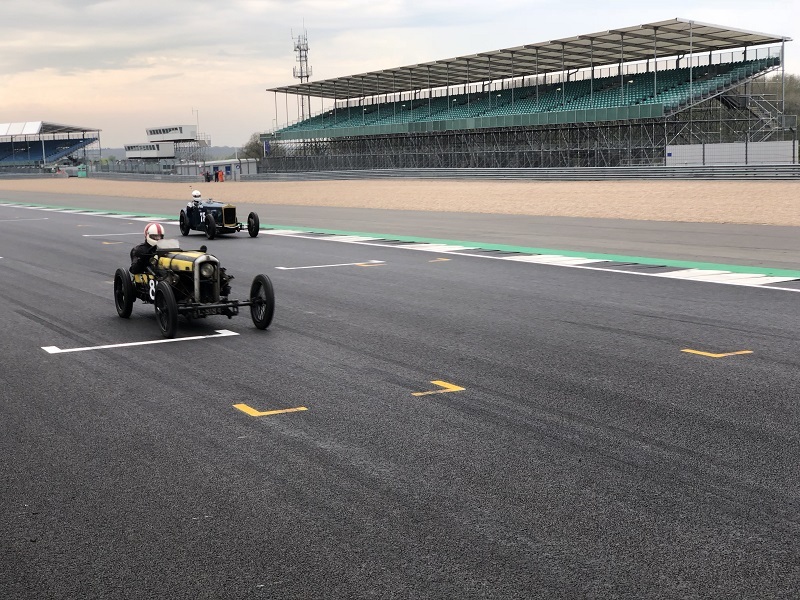 So this will be the first of several news items about the day, that we’ll post over the next few weeks – to try to give you a flavour of arguably the most important vintage racing event on the UK calendar. 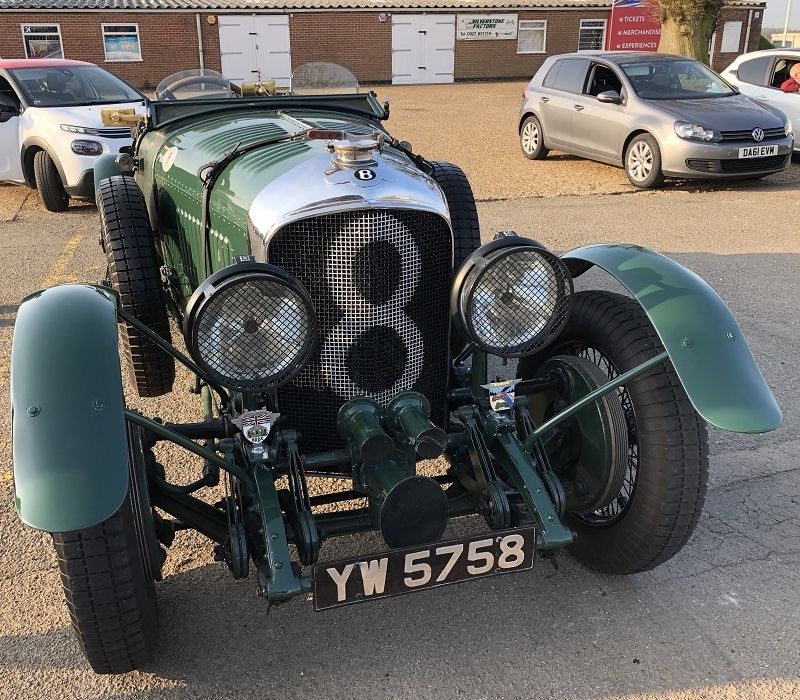 There were a lot of Vintage Bentley “Hotrods” there on Saturday – including two 8-litres! But this is a real team car. 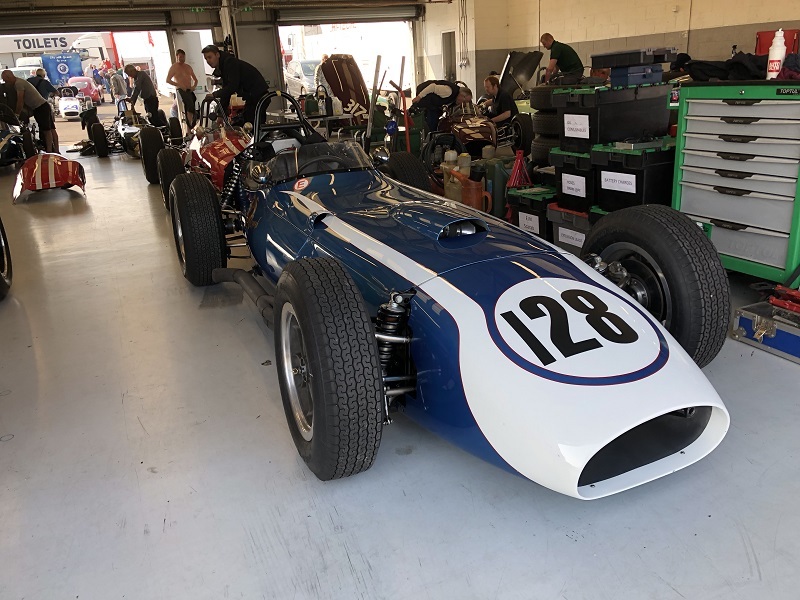 Your webmaster remembers seeing this very car on its way to the Richard Seaman Trophies meeting at Oulton Park in the 1960s or 70s, when it belonged to Harry Rose. 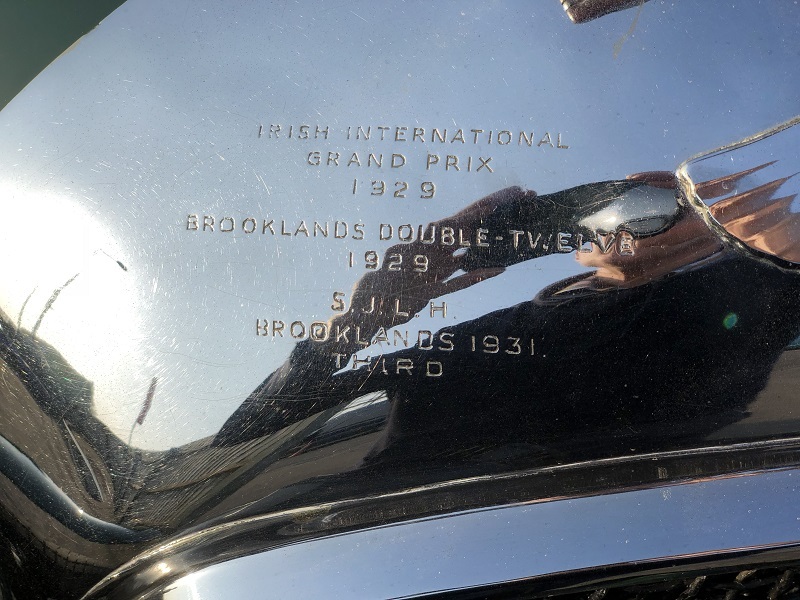 It proudly wears its race entries and wins, stamped into the radiator shell – Ian thinks this was done in period. 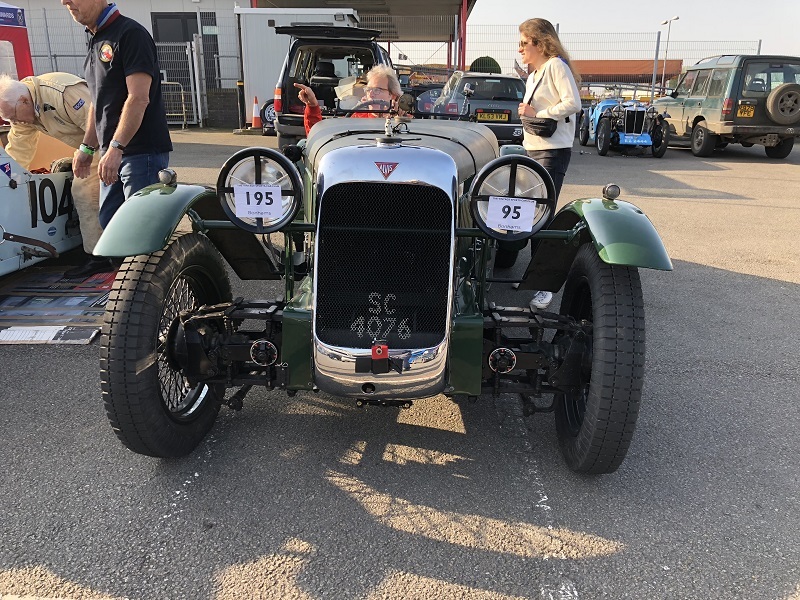 Mark Hayward was racing this 1928 FD 12/75 front-wheel-drive Alvis. This year sees the 90th anniversary of its class win at Le Mans, and it will be at the Le Mans Classic this year. 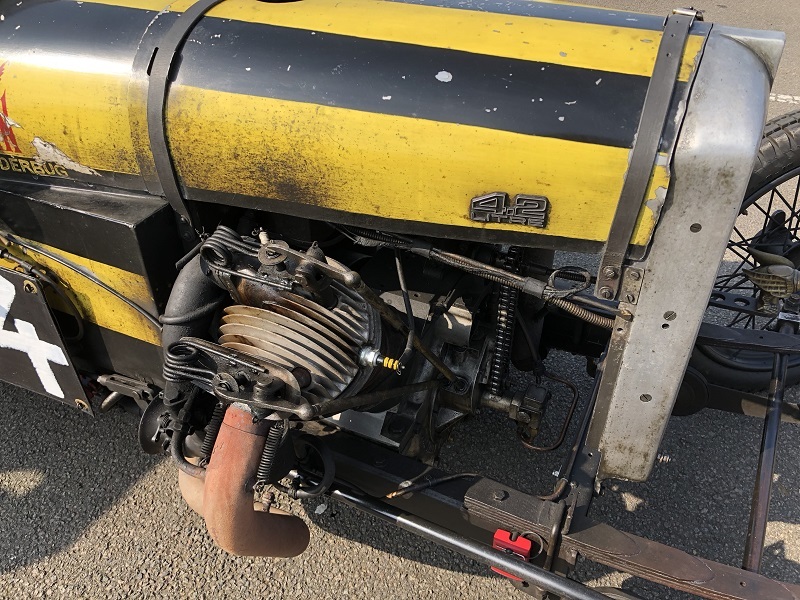 The Solex ws found in the Czech Republic, and fits beautifully – except that it’s the wrong way round for this car, so it has a fiendish linkage system to get it to work. 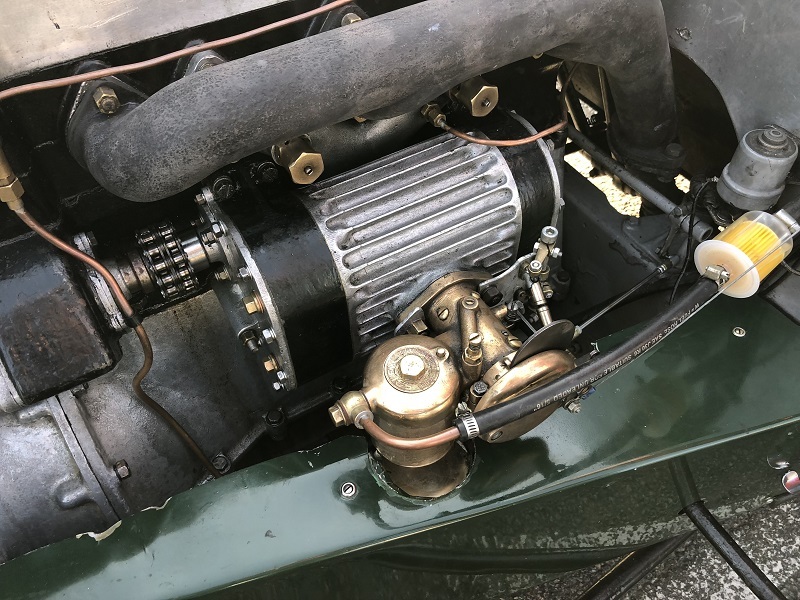 Supercharger and “wrong-way-round” Solex – but it all works fine! 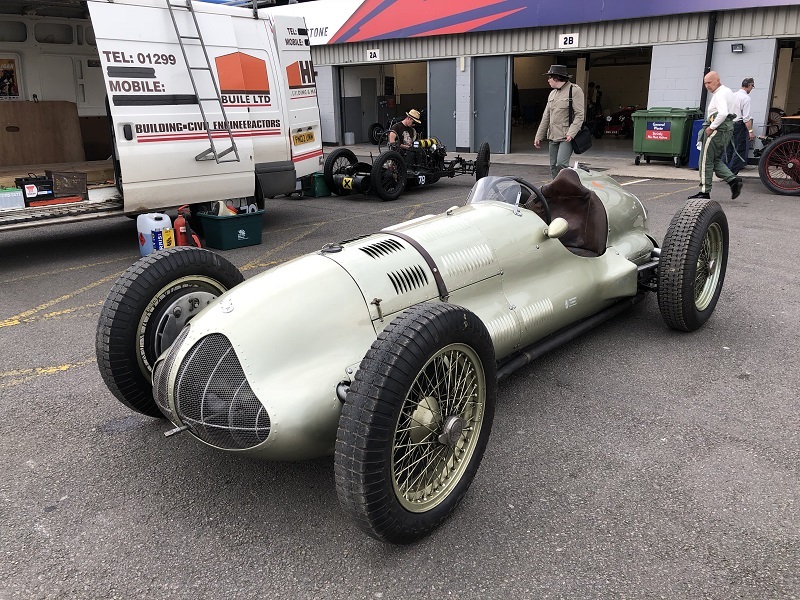 Martin Stretton was driving this lovely Targa Florio – one of only 14 ever built. 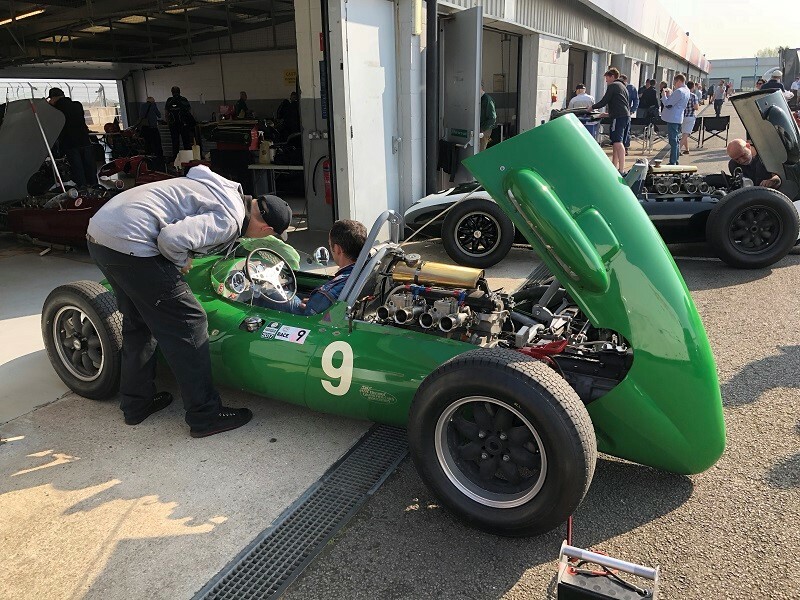 “Modern” stuff, racing in the HGPCA race for pre-1966 cars. A T45/51 in the foreground, and a T45 behind. Both 1958 cars. This is something special. Imagine you are a British-born American entrepreneur, racing driver and heir to the Woolworth fortune. Your mother is the Woolworths heiress Barbara Hutton and your father is her second husband Count Kurt von Haugwitz-Hardenberg-Reventlow. Your stepfathers include Cary Grant and Prince Igor Troubetzkoy. Why wouldn’t you design your own racing cars and compete in all-American sports car races and, in 1960, in Formula 1? Of course you would – because you could. This was Lance Reventlow. And this is the Scarab. In period, ultimately a failure, but what a wonderful thing. There must have been at least 15 of these lovely Frazer Nashes (or GNs) in their own special area at any one time. Maybe more! 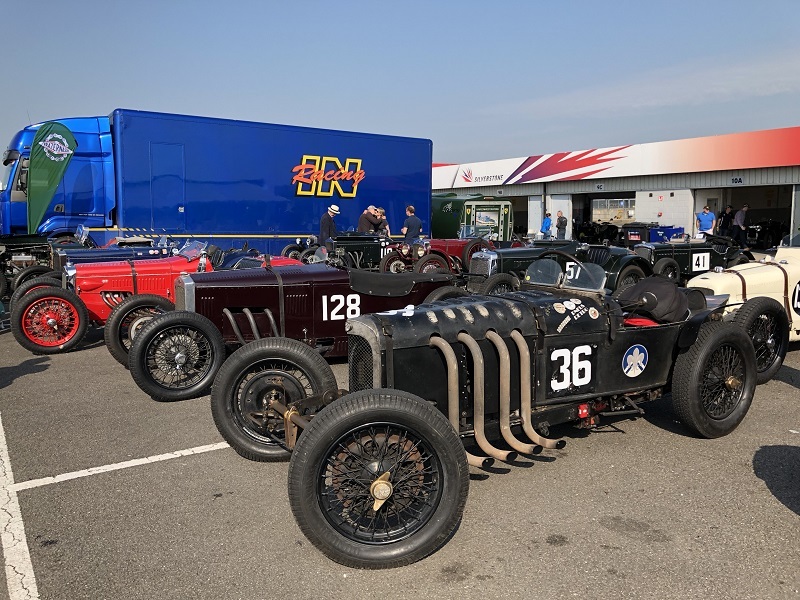 And talking of ‘special’, the car in the foreground is the 1926 Parker GN, a chain-gang racing special with a 4-cylinder Cirrus-Hermes 6,124cc aero engine. Sounds fun. 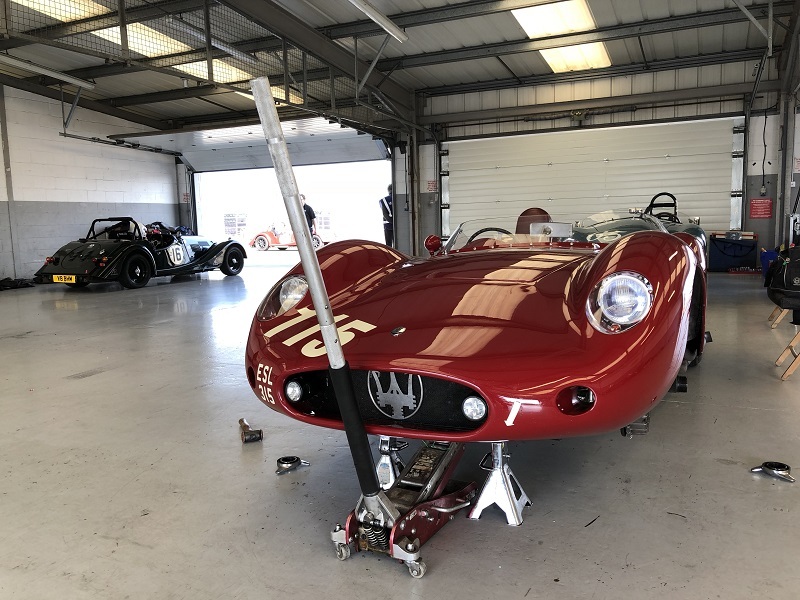 This sports-racing Maserati was being prepared. We like the original big finned drums. Queueing for the start of the Morgan Challenge race. Three Plus 4s, sandwiching Plus 8 number 34. There’s slightly mad, mad, insane and then the GN Thunderbug. 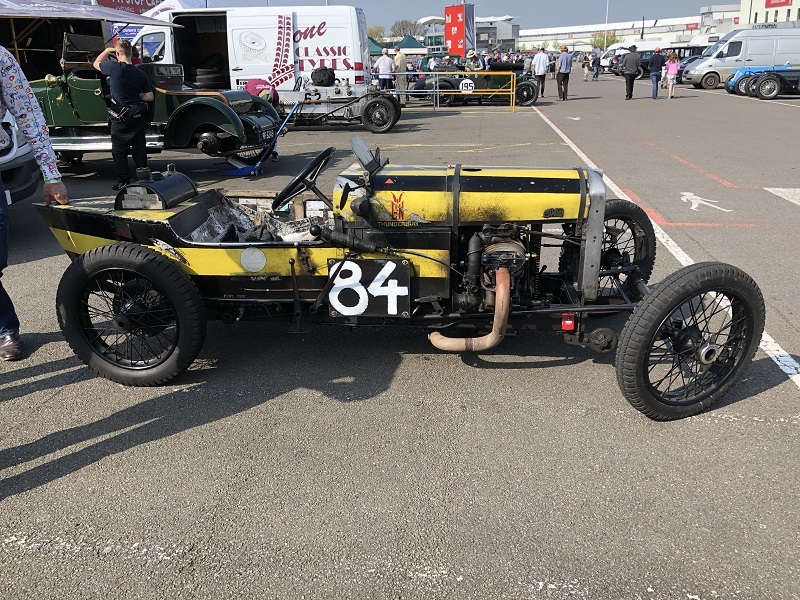 Built by Mark Walker with standard GN transmission, it started life with an early Riley V-twin. 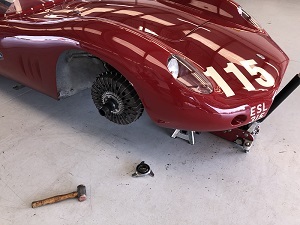 Then he found the five-cylinder remains of a nine-cylinder radial Salmson engine, took two cylinders, and stole the rods out of a Liberty V12 aero engine. It weighs less than 500kg, revs to 1800rpm (theoretically 117mph) and fires once every five feet on the road. 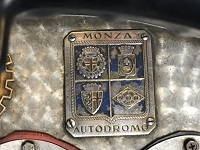 It has 4.2 litres – so it needed a badge. A plastic one from a Holden, naturally. Everybody who saw it on Saturday thought it was a hoot. We all loved it – and it shifts too! 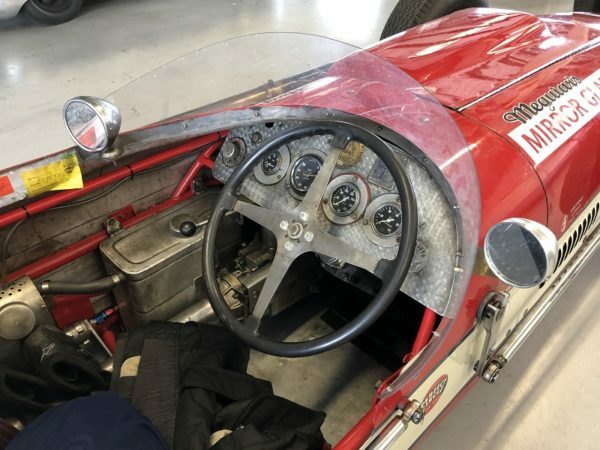 A beautiful car, designed by Peter Berthon after his boss at ERA, and designer of the successful classic A to D ERAs, Reid Railton, had long since left to work in the United States. Too complex and lacking a really powerful engine, it had success neither before nor after the war. Lovely car,though. 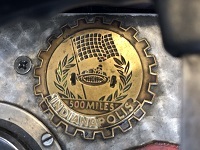 The aptly named (for a maker of car polish) “Mirror Glaze Special” was entered by Meguiar’s in the 1957 Indy 500. 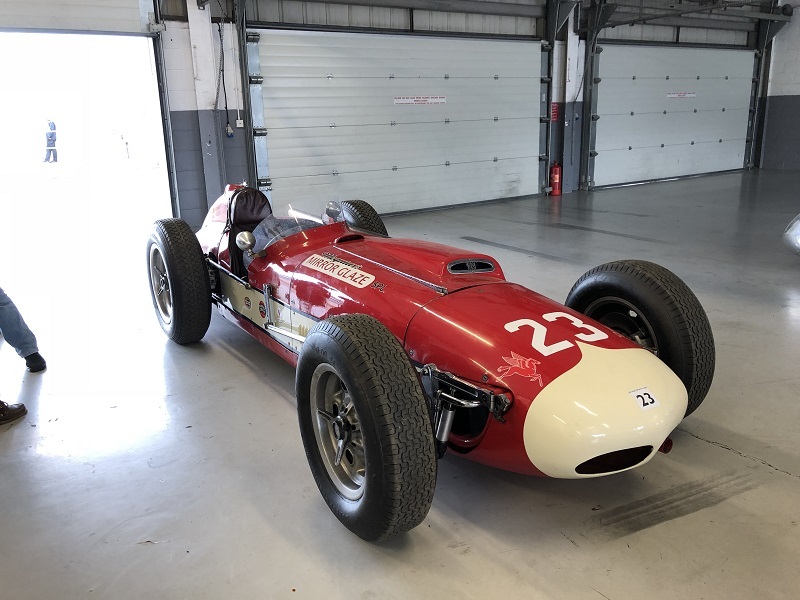 Powered by a 4.1-litre 4-cylinder Offenhauser, it was owned then by Ray ‘The Flying Grocer’ Crawford, who failed to qualify for the 1958 race, but lapped the oval at 182mph. Ray also brought the car to Europe to race at Monza in 1957 and 1958, finishing 7th and 4th respectively. The current owner reckons it still gives out over 400BHP. 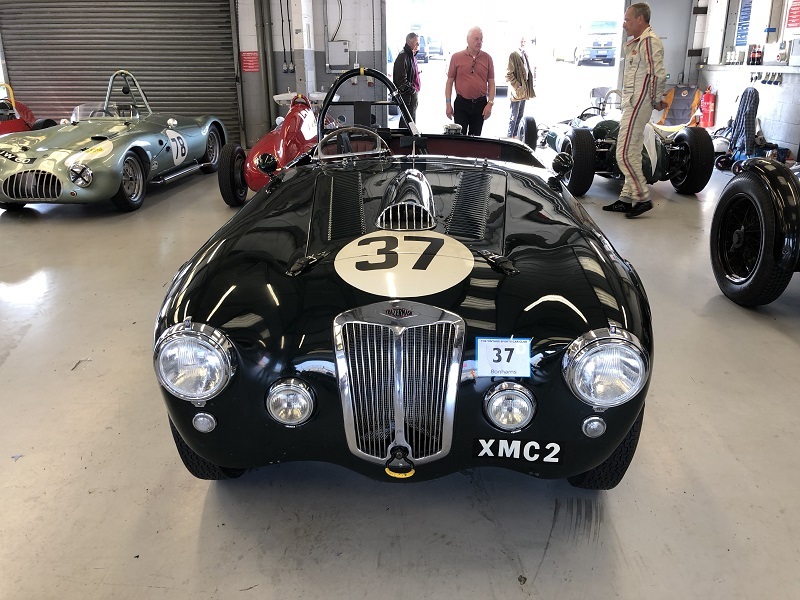 Keep an eye out on this website for A Vintage Day at Silverstone – Part Two: The Sports Cars. Superb stuff, Peter, and an excellent antidote to the usual race-by-race that I and others do! Excellent photos, too. Looking forward to part 2 – and 3, perhaps?